Weekend after weekend a countless number of races are organised in Belgium and abroad, which makes it impossible for us to give every fancier or ace pigeon the attention he/she/it deserves after a strong performance. That is why we introduced our Top Performances column in 2011, to put every well-performing fancier in the spotlight. This includes fanciers with a small number of pigeons whose results would otherwise remain unnoticed in between the series of prizes of fanciers who send in many pigeons. The distance of the race does not matter. Every fancier deserves a mention, from the stars in the sprint and the middle distance to the long distance champions and the masters in the international races. When and where does the column appear? All editions of this column are published on the homepage and on our Top Performances page, under Racing Season in the main menu. The column is published weekly and it obviously coincides with the racing season. It usually starts mid/end April and ends in September, depending on the country. Keep in mind that not every result will be published. Every performance has to meet a number of criteria. After all, this is a column for top performances only. Note: In Belgium, most prizes are achieved by finishing in the first 33% of the result, whereas in Holland this is the first 25 %. For instance: if you have basketed 24 pigeons in a race with a total of 100 pigeons, you will need to have 12 pigeons in the first 33% and 6 in the first 10%. Remember: only the results that meet the requirements mentioned above will be published. Results with incomplete details will not be included. If possible, please attach a picture of you or your pigeon as well, preferably a good-quality landscape mode picture with a minimum size of 450 px (width) and 315 px (length). Keep in mind that we have a deadline for applications. Results that have been sent in after the deadline will probably not be published. In that case you can add your results in the comment section below the article. The deadline is set at Tuesday 12 am but can sometimes be postponed if several races have been delayed. If possible, please include a picture that is suitable for publication (a minimum size of 450px (width) to 315 px (length)). Keep in mind that we have a submission deadline. Results that have been sent in after the deadline will probably not be published. In that case you can add your results in the comment section below the article. The deadline is set at Tuesday 12 am but can sometimes be postponed if several races have been delayed. Why should I send in my results? The high number of races every weekend makes it difficult for a fancier to attract attention. Our user-friendly online form will help you gain recognition without much effort. 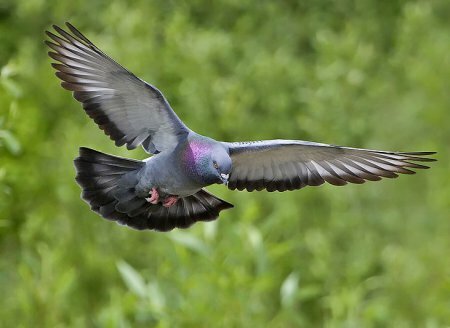 PIPA is an international website that wants to promote pigeon racing outside of Belgium as well and that is why our Top Performances column is published not only in Dutch but also in French, German, English and Chinese. This means you will not only draw attention in Belgium but wordwide as well! It is quite difficult to get a mention in our Fancier index because there are so many races, winners and series of prizes every weekend. Top Performances makes this much easier for you! You can simply submit a result for the column and your result will be automatically published under your own name in our Fancier index (together with the other submissions for that week). This means your name will be in our list of national and international fanciers for all eternity! Should you have any further questions, please do not hesitate to contact us at aepd.aeirbtpi@ ec.